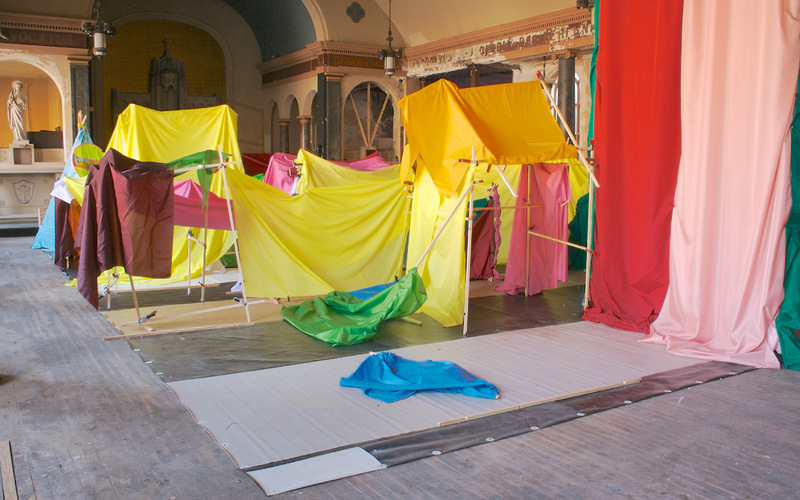 This event based on the childhood pasttime of fort building, creates a sprawling interwoven metropolis of blanket structures. 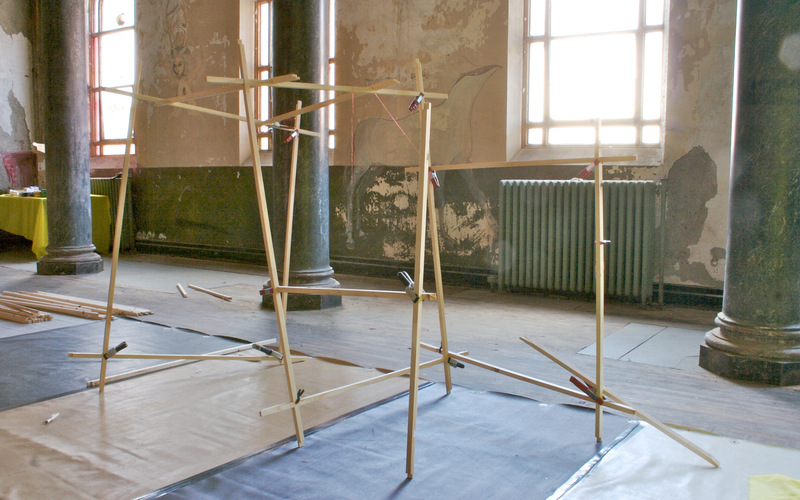 All necessary materials are provided for participants including, notched wooden support posts, spring clamps, and blankets. 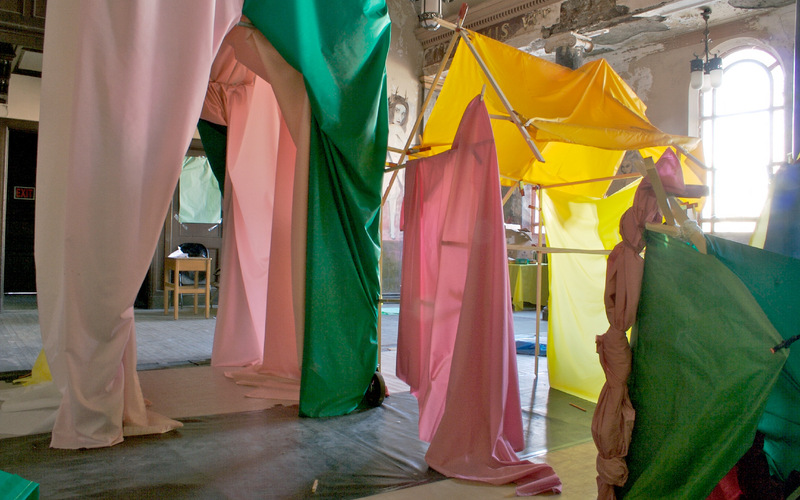 The materials are limited, but enough to occupy a designated area in an event space. 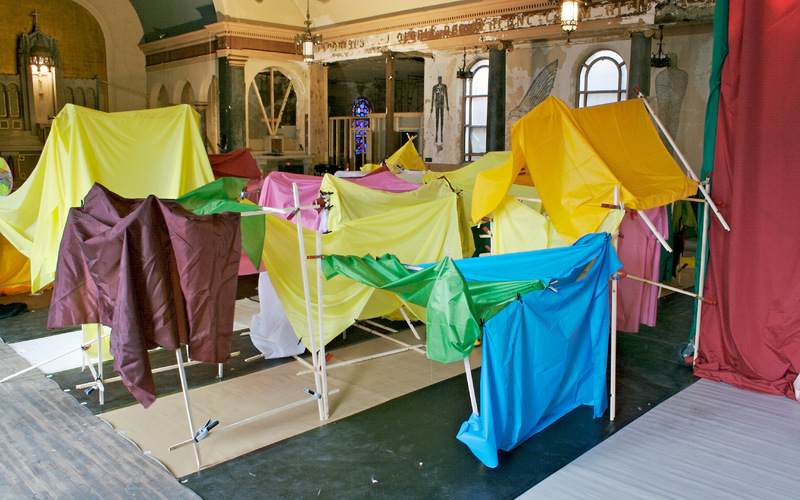 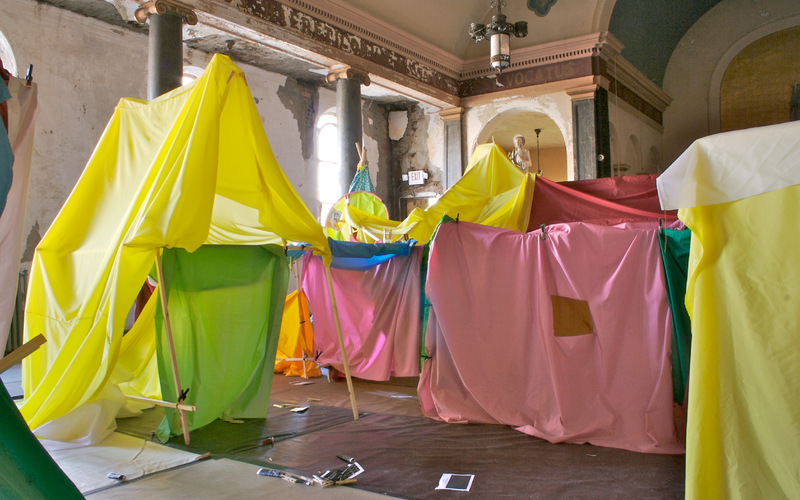 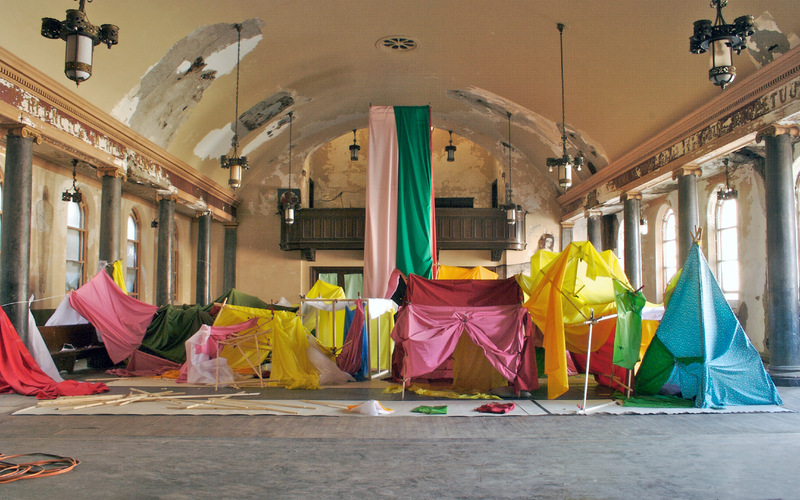 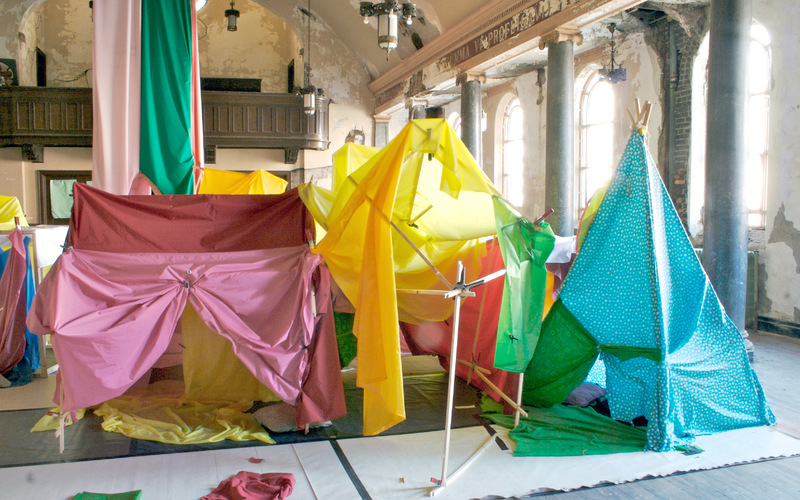 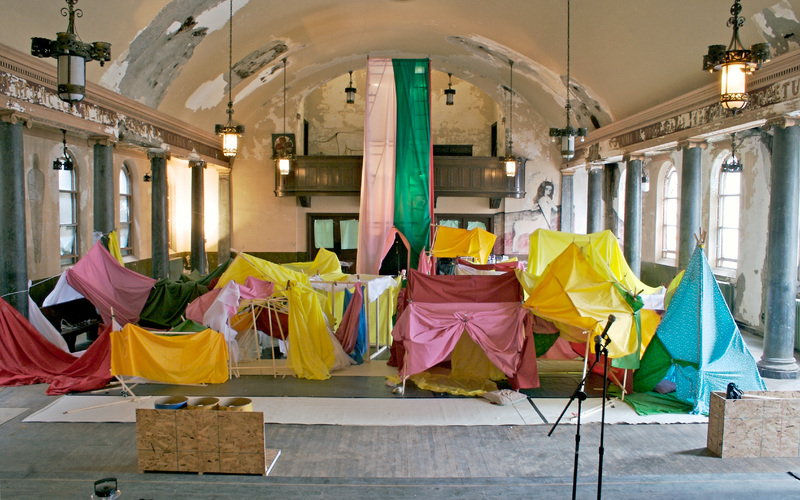 Requiring cooperation, dialogue, sharing and creative thinking among participants, Building One: Blanket Fort City results in a continually variable sculpture that functions as a social space. 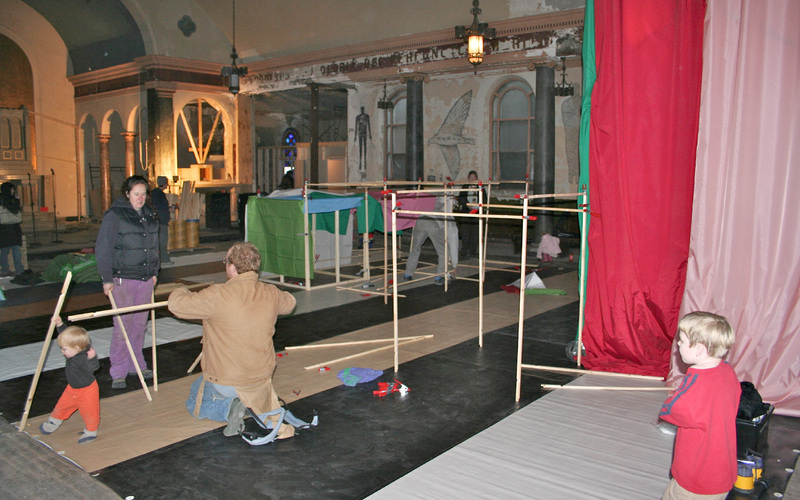 The structural design for the building is similar to Lincoln Logs or Tinker Toys. 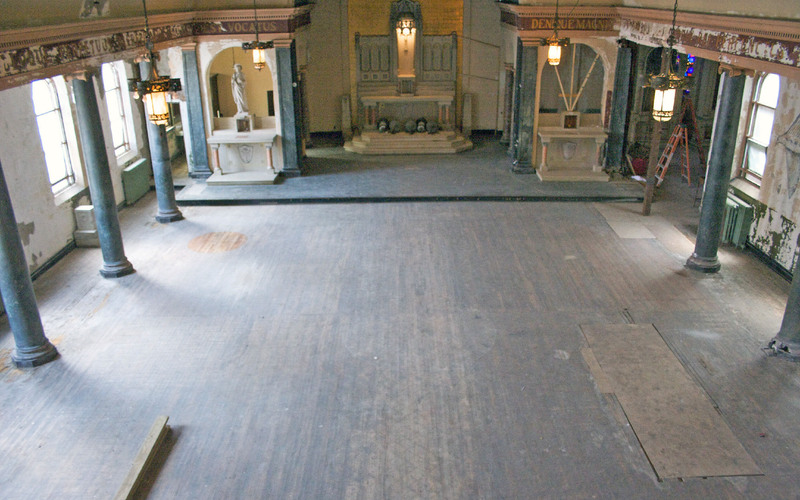 Square wooden dowels are used, each notched at the ends. 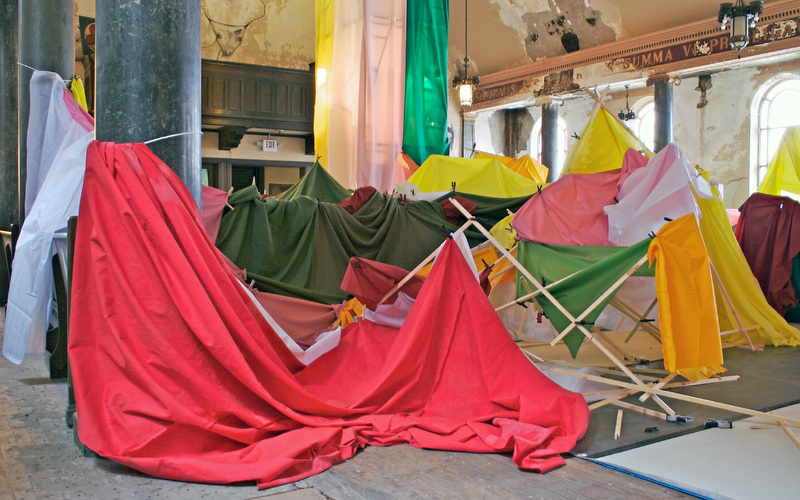 These vary between four feet and five feet in length. 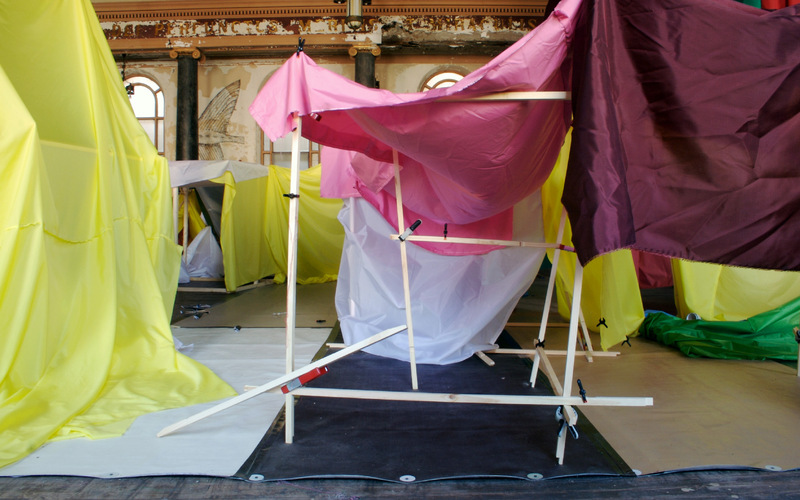 The supports easily snap together and can be spring clamped for added rigidity. 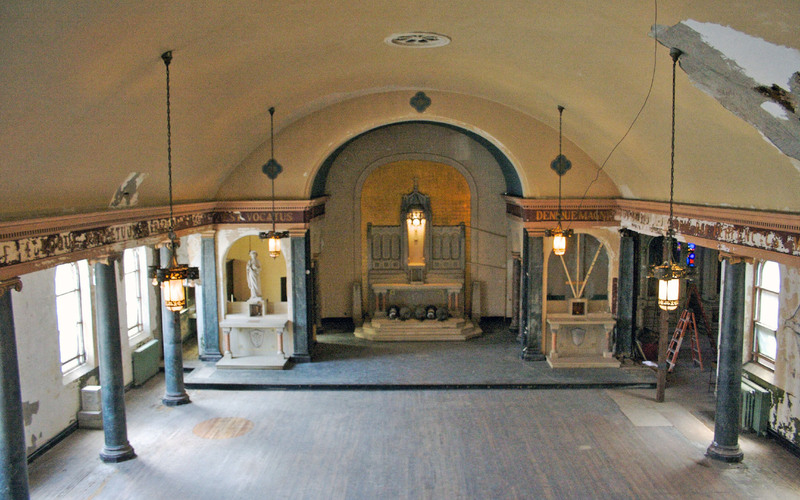 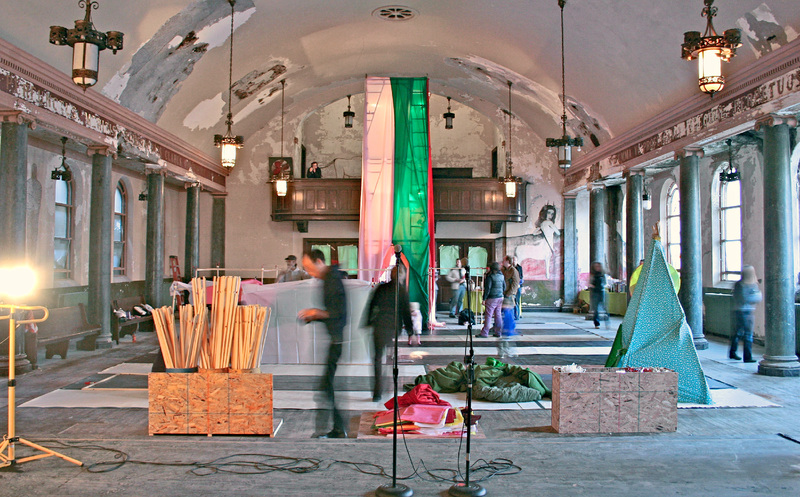 Hundreds of supports were fabricated for the debut event, enough to completely fill the central area of St. Anthony’s Church—now known as Grand Street Community Arts in Albany, New York. 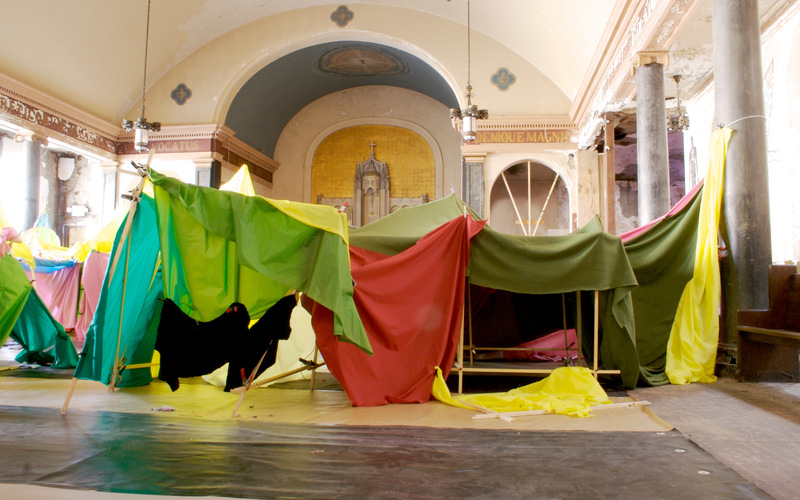 Hundreds of blankets were made from a massive fabric donation by local screen printers called Looks Great Promotions. 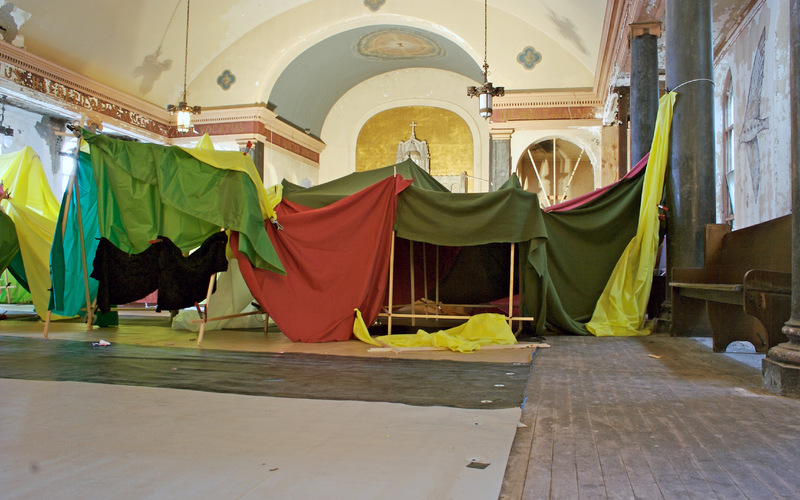 We also covered the floor with two layers of thick vinyl material to protect participants from the unfinished surface beneath it. 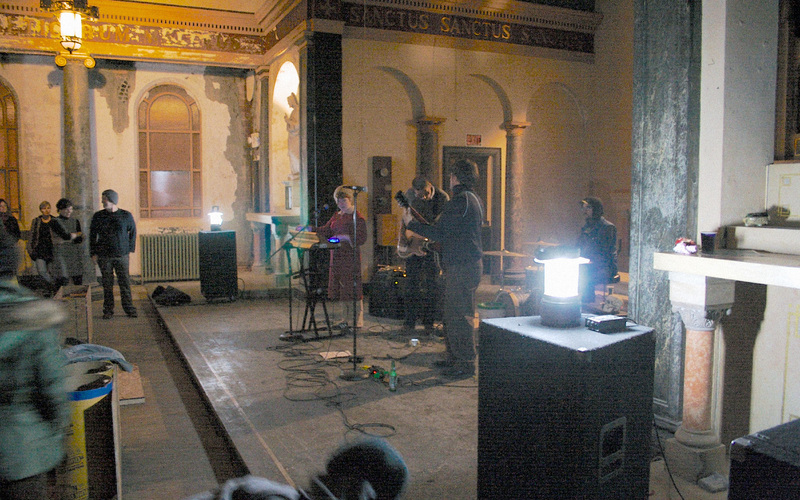 The first incarnation of this project occurred on November 2, 2007 at Grand Street Community Arts, and included musical performances by Kitty Little, Scientific Maps, Matthew Carefully, Dave End, and The Dust Dive. 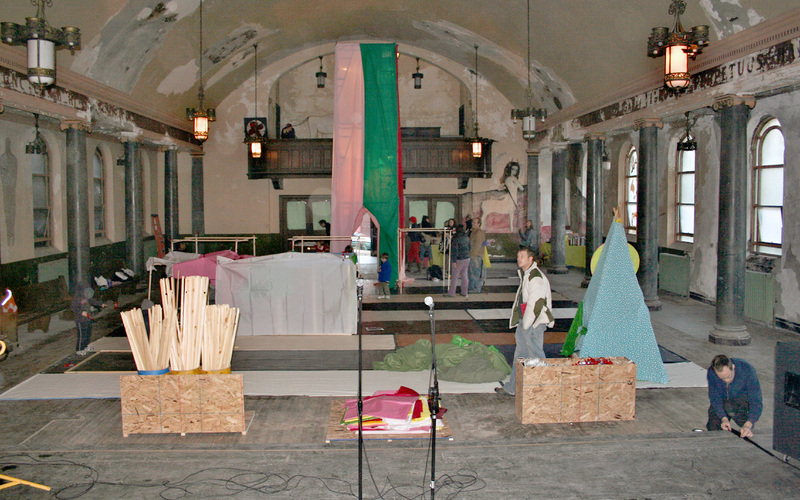 In celebration of the participants, and project, the concert was viewable from the blanket fort city. 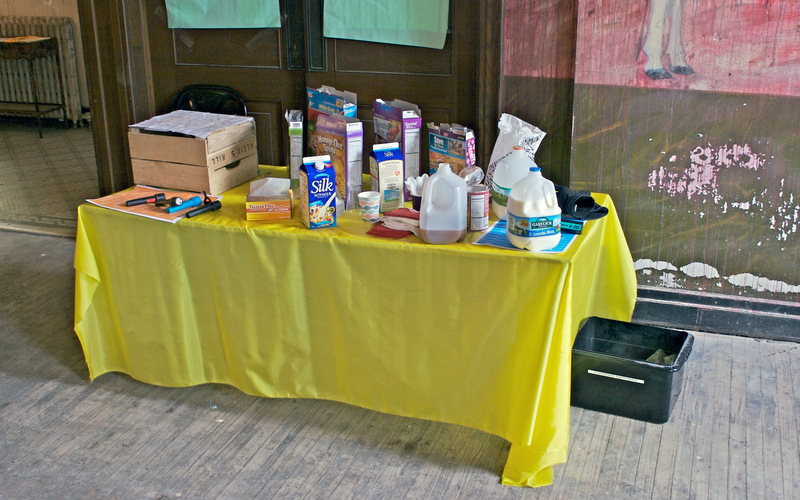 Grand Street Community Arts donated several boxes of breakfast cereal, milk, coffee, juice and ten dozen cider donuts to enjoy during the event. 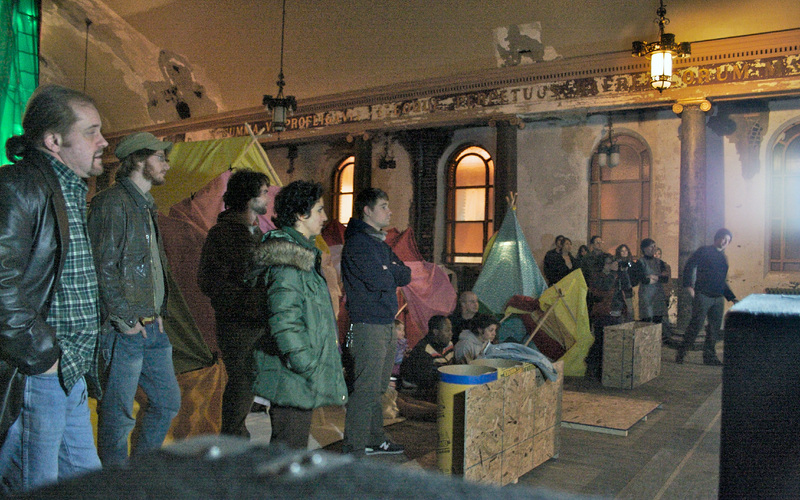 Over the course of the evening several hundred people came through space, many helped make a fort, some just to watch it evolve. 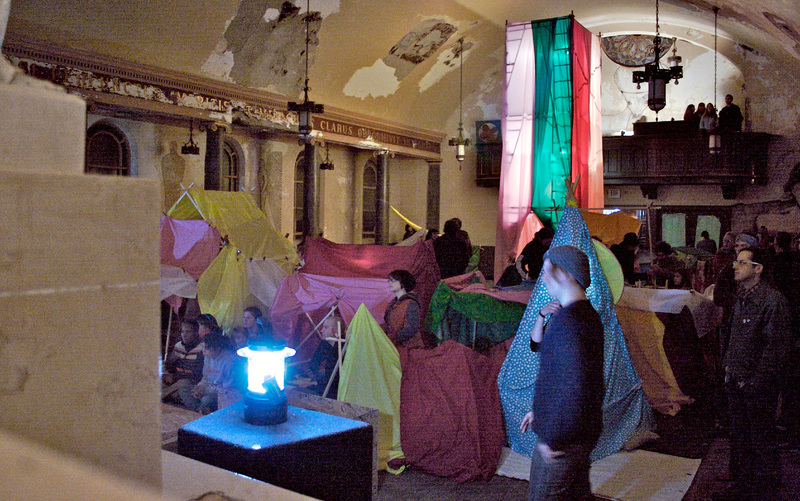 In 2011 Building One: Blanket Fort City traveled to Flux Factory in Queens, NY as part the exhibition, Why Participate?, curated by Angela Washko. 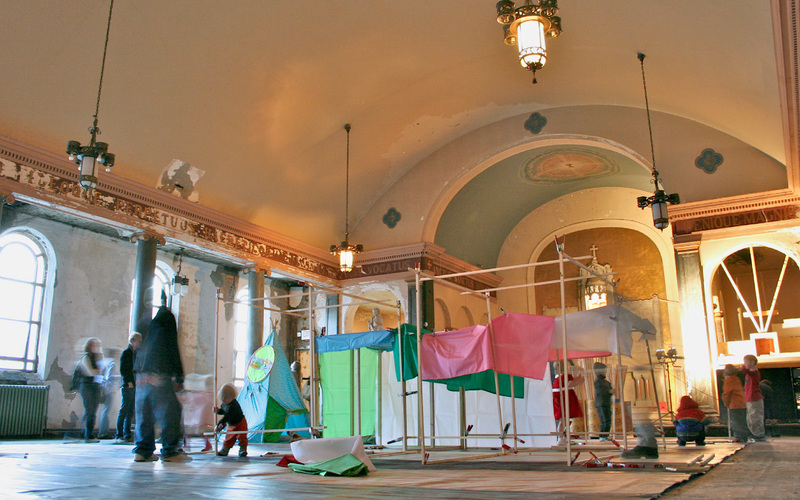 The slide show features images from the both events.